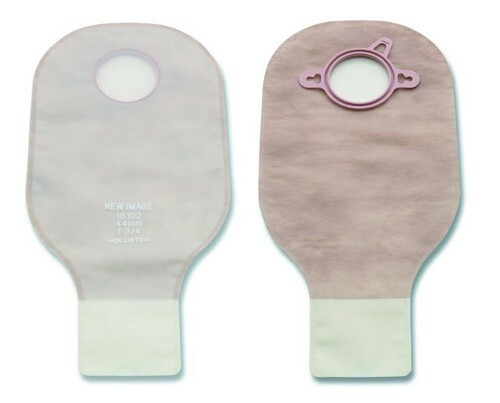 New Image Drainable Pouch, Transparent is an ostomy pouch designed with gentle ComfortWear panels on the body side to provide a soft, cloth-like covering between the pouch and the skin. The CenterPointLock feature on this ostomy pouch prevents unintentional pouch and skin barrier separation. 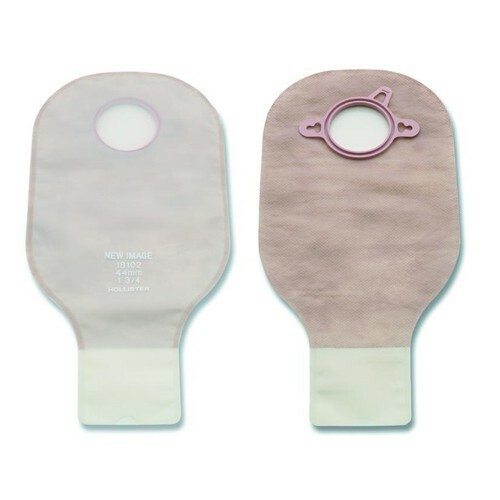 New Image Drainable Pouch, Transparent provides a high level of both confidence and discreetness via a rustle-free film and protective odor skin barrier. Designed with anatomically-shaped pouches that adhere seamlessly to the skin, this is an ideal pouch for any ostomy patient. You might also be interested in similar drainable ostomy pouch products that we carry, such as Hollister Premier Series Drainable Pouch. Confidence and Security with the unique CenterPointLock feature. Prevents unintentional pouch - skin barrier separation. With pouch clamp closure and belt tabs. Transparent and odor barrier rustle-free pouch.